I love gundam boys, especially Duo Maxwell, he is my favorite... favs! 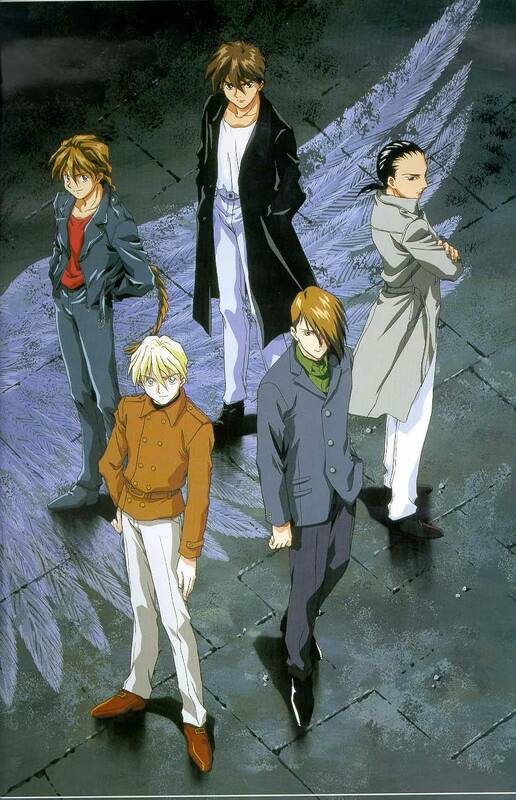 it is another great scan of Gundam Wing, they wear so smart, they know how look in a scan, the wing gives them the dark sky ambient, thanks. I love it! And Duo is the best of course! thank very much for this scan! I love it a lot!